Hi everyone! So I've recently come in to about $200 worth of credit and wanted to build a new edh deck. I have a few different commanders I'm debating between and would like opinions on them, or suggestions on who I should run. 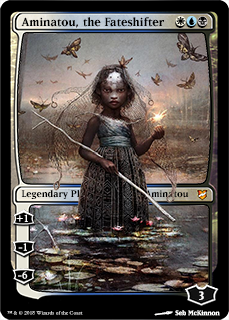 I know the 5 color ones will have a weaker mana base so I was leaning towards the 2-3 color ones though 5 color does sound fun. You'll be able to build a strong Brago build on a budget. 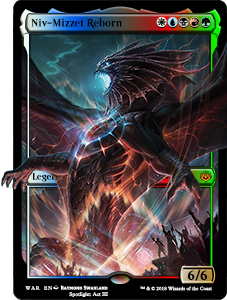 The Gitrog Monster starts creeping up in price because some of the more signature cards are expensive. I mean you can build 5 color decks, with tons of tapped lands, but they won't perform anywhere near on the level you could build Brago or Locust God. As already noted, you can build a strong Brago deck pretty cheap. Personally, I think a stong Roon build would be more interesting and fun, because Brago tends to be pretty overpowering and a lot of players have seen all the Brago tricks and are pretty tired of them by now. Roon is pretty cheap to build, but being three-colored, the mana base will be a bit more clunky on a budget. As usual for three-color budget decks, I recommend basing your build around a lot of green land fetch stuff to get things going and including lots of basic lands. Locust God is strong and offers a fair number of options for personalizing your build while still being pretty effective. Gitrog can still be pretty gross on a budget though. You don't even need many of his "signature" cards to run the table. With that being said, it will run very similarly to your Karametra deck, so I don't know if that's a route you'd want to go down. Like the others have stated, Brago can be super budget and still run efficiently as his bounce targets are usually on the cheaper end. Roon would be very similar to Brago, but adds that third color for access to more targets and that mana ramp you definitely crave. Can still be pretty budget with adding in targets like Wood Elves. Locust God - play a bunch of draw spells. Literally every card in your deck could be a draw spell and you'd always be a threat (same with Niv-Mizzet, Parun). The five color commanders would be fun, but you're definitely correct that you want that smooth mana base. Since those commanders are Tribal-based, the creatures wouldn't be as cheap either. 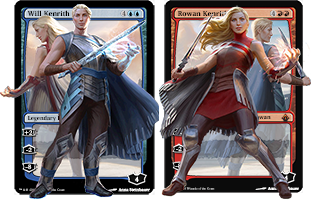 Out of your options, I'd look at the non-five color commanders with your current budget/credit. I like Locust God best. Compare to the rest of the chart, that is. My whole najeela list is maya. Now I have some 5 color lands in the deck but I'm not playing any black or blue duals. It's a fun list it's more about turning sideways and less about going infinite. I used the last credit to boost my Karametra deck instead of making a new deck So now I've decided to break down the slimefoot deck and have about $250 to build a deck with. Any opinions on what to build? I've now also been looking at Zur, Riku, Yidris and Yisan as possible people. What are your opinions or thoughts on what you would build? Doesn't need to be any commander I've listed anything you want to talk about. Zur gets hated on hard, he's KoS. I do not recommend building Zur unless you want a hate deck in your arsenal. Yisan is a powerful, competitive toolbox commander, but he can be difficult to bring down in power level without compromising synergy. 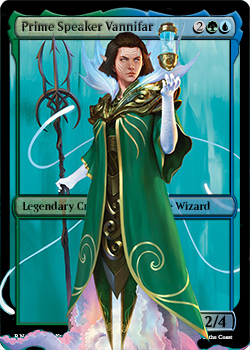 I built Yidris when the Lord Windgrace C18 deck was spoiled. Lord Windgrace just wasn't the lands deck I thought it would be. Adding blue also added Trade Routes and Meloku the Clouded Mirror, great additions for a land theme. I think the locust god is one of the most fun decks out there. 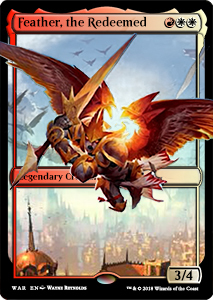 Additionally, with only around 10 cards changed I think you could make a niv-mizzet, parun deck, as they overlap so much.